When you've been lauded as the pinnacle of a field, any decline in your talent is going to be studied, critiqued and written about. And that's no different for a vocalist like Mariah Carey, whose delicate voice has changed and evolved as time has passed. Speculation about why the voice isn't as it once was are rife and ongoing, with everything from alcohol to ageing to the worsening of her vocal nodules being blamed. What can't be argued about is that a change has happened, with the elasticity and tone of the voice being most affected. And though her famous range is still there, it is now somewhat fragmented and disjointed. 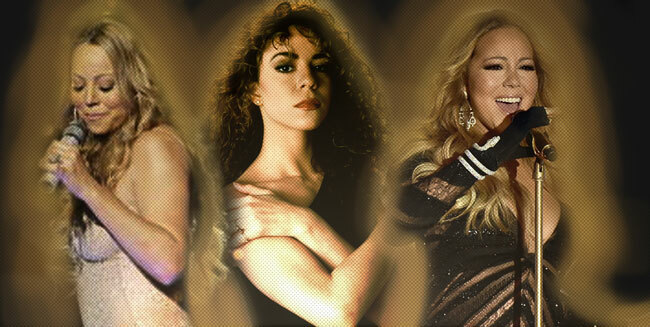 To help us better understand some of the change that have occurred- and to show the voice is still capable- YouTuber Angelfully has put together some clips comparing notes from three eras of the Diva's career: The Mariah Carey years / the emergence of Mimi/ and her current voice. But what do you think about Mariah's voice- current and previous? Do you have any insight into why it changed? And ultimately, what do you think she can do to preserve and build on the voice she now finds herself with?